Supporting the National Trust in restoring the uplands of Derbyshire and the Peak District. 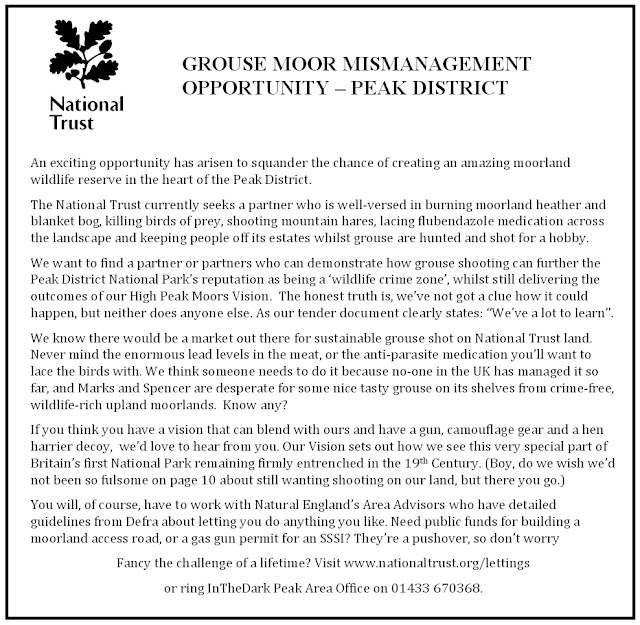 It was very disappointing today to receive an emailed media statement from the National Trust and to discover it remains entrenched in its wish for the hobby of grouse shooting on its Peak District Estates to continue. The ‘No Moor Shooting’ campaign last year by Moorland Vision involved thousands of local people, outdoor and wildlife groups as well as visitors to the Peak District. Over 7,500 people signed up to tell the National Trust that they no longer wanted to see grouse shooting and the associated illegal killing of birds of prey on these iconic landscapes in their ownership. 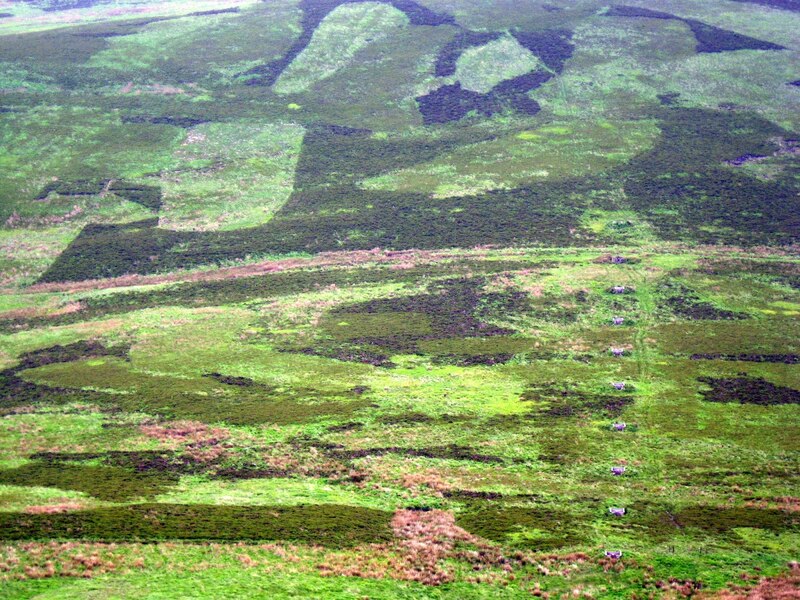 Even the Derbyshire Wildlife Trust, who submitted a bid to the National Trust to help manage these moorland landscapes around Kinder Scout and Bleaklow for wildlife conservation, had its imaginative proposals rejected. It is sad that the National Trust is under the misguided impression that people intent on shooting one species of bird – the red grouse – just for a sport can do a better job of protecting and enhancing these habitats and ecosystems than the expert wildlife groups and NGOs with whom it would normally cooperate. It’s unbelievable that the NT media statement quotes Regional Director, Andy Beer as saying: “We’ve made our decision based on what we think is best for nature”. So, this is either a sad reflection on the NT's understanding of what’s best for biodiversity, or naivety over why many species of birds of prey (as well as mountain hares) are killed to protect grouse on our moorlands. Or maybe it's a worrying reflection of their confidence in the Derbyshire Wildlife Trust, with whom they could so easily have partnered to create something amazing here? For many years there has been a dark cloud of illegal raptor killing, of peat burning and of habitat damage through over-management hanging over these Peak Districts moorlands. Peregrine falcons, goshawks and hen harriers have stood no chance in the Dark Peak against the combined guns and concerted work of gamekeepers determined to eradicate predators, and to increase grouse numbers to unnaturally high densities on both privately-owned grouse shoots and on National Trust-owned land. Because of continuing wildlife crime to support this hobby, these birds are rarely even seen there nowadays, let alone manage to breed. The eviction by the National Trust of its previous commercially-motivated shooting tenant (Mark Osborne) – following release of a video of a camouflaged gamekeeper with a gun lying in wait with a bird of prey decoy on NT land - would have been an ideal opportunity for the National Trust. It could have chosen not to seek another tenant, but to create a vast moorland nature reserve in the heart of the Peak District (albeit still surrounded on three sides by continued shooting on other moorland estates.) Here, all wildlife could have been protected and the moorland SSSI restored to a better balance of species, where anyone seen with a gun would clearly have been up to no good. That was what our campaign tried to achieve. All National Trust-owned land in the Peak District shown purple. In dark purple are the two NT estates being discussed here. Sadly that opportunity to work with other conservation partners to help re-wild this part of the Peak District will not now happen. We've been told by NT's Andy Beer that they will now work with new tenants and will run three different models of killing grouse – one walked up shooting, one shooting over dogs, and the third a predominantly driven shoot. The latter is especially disappointing as evidence has clearly shown that driven grouse shooting is also the 'driver' for so much wildlife crime. Should raptors fail to return as the NT vaguely hopes they might, where would the finger point, we wonder? "Wasn't me, guv. Nor me. Me neither". We have lost an opportunity. An oasis of wildlife restoration in the Peak District could have been created amongst a sea of private shooting estates. The vote at last year's AGM clearly shows the National Trust remains rooted in its early 20th century attitudes of supporting hunting by any means possible, and this deplorable decision affecting the Peak District is the latest expression of this. The illegal shooting of raptors and the cruel snaring of ground predators seems likely to continue. How will the National Trust police the activities of their new tenants, we wonder? Will they be kicked off when raptor numbers fail to recover. Unlikely. National Trust land in the Peak District. As yet, we do not know precisely which areas will be excluded from shooting, or where less intensive management for ‘walked-up’ shooting will take place. But intensive, ‘driven’ shooting will remain in parts, and NT-owned moorlands will no doubt be closed for access on hobby days, and predators still exterminated by the tenants or their employees who'll want a profitable shoot. Somehow this doesn't seem like a well-designed and controlled experiment on moorland management techniques. It's true that these wonderful and iconic landscapes around Kinder and Bleaklow are generally in a far better environmental condition than the privately-owned shooting estates that surround them. And that's the point - driven grouse shooting and burning already goes on all round these NT-owned moors, and wildlife crime will no doubt continue to spread out from there too. With four different shooting tenant groups soon to be on their land, the National Trust really are gunning for trouble when it comes to determining which of them should be held to account the next time we see birds of prey being illegally killed to protect red grouse. Perhaps they'll all be thrown off? Doubt it. Sadly, the ambitious proposal put to them by Derbyshire Wildlife Trust to partner together to create an oasis of well-managed uplands (where birds of prey at least stand a small chance of survival) will have to remain a dream, for now. The National Trust says it will be transparent in its workings, so we would like to know precisely which areas of land will be managed for what activity, and by whom, and when moorland access will be restricted to the general public and NT members. And what are the measures of success? How many breeding peregrines or hen harriers? We wonder whether the same old set of local gamekeepers will be re-employed to continue the bad old habits of the previous tenant, or whether fresh faces and new attitudes will genuinely bring at least a few benefits to nature, without all the wildlife crime and habitat over-management we have seen in the past. 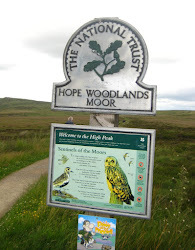 Moorland Vision continues to support most of the National Trust's own 'High Peak Vision' to restore our upland moors, and we recognise some really huge steps forward have been taken to achieve this. But with this one step backwards, we remain of the view that it has missed a great opportunity to show that it really is a major conservation organisation of the 21st century, rather than one still steeped in the ways of the late 19th and early 20th century. a fourth parcel of land (known as Park Hall) will be shot by the age-old method of shooting over dogs. 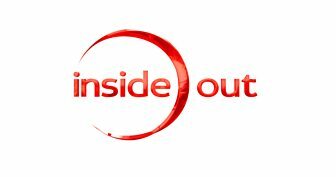 After 9 months of occasional filming across the county, BBC's Inside Out programme will tonight broadcast a 10 minute piece about the impact that driven grouse shooting is having on our Derbyshire and Peak District landscapes. It goes out at 7:30pm and it will be interesting to see how all sides in this debate have been covered. BBC's Simon Hare filmed and spoke with the Moorland Vision campaigners out on Snake Pass, and as they handed over their petition to the National Trust. He has looked at many other people's others concerns about wildlife crime and the dire habitat degradation that grouse shooting as a profitable business causes. But of course he also looked at this damaging hobby from the perspective of the people involved in managing our delicate moorland landscapes for profit - be they private landowners or the National Trust. It will be interesting to see how everyone's concerns are portrayed. It should then become available online on those webpages for 30 days or so thereafter. 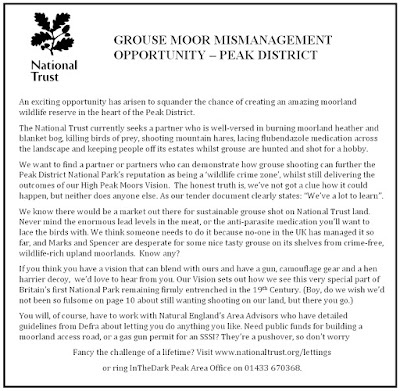 It will be interesting to see how National Trust members respond when they learn that their Trust has just readvertised for another grouse shooting tenant on the iconic moorland landscapes that they own around Kinder Scout and Bleaklow after gamekeepers were filmed lying in wait to shoot hen harriers there. It is specifically that issue that Moorland Vision have been campaigning to influence. And it comes at a time when all NT members have the chance to actively vote to support a members' resolution at the forthcoming AGM to ban trail hunting (aka illegal fox-hunting) across all their properties. The National Trust are in favour of allowing it continue, and they urge you to vote against that resolution. For those stuck in the 19th century, the NT position may seem a sensible idea. And since we scheduled our petition handover to the Trust this summer, a further thousand or more people have signed our petition to continue telling the Trust: "No Moor Shooting!" on these upland Derbyshire estates. Petition signatures ready and waiting to be handed in. Yesterday Bob Berzins and Nick Moyes handed over the Moorland Vision's petition to the National Trust on the sedate lawns of Kedleston Hall near Derby. The petition contained 6,587 signatures and was received by Regional Director for the Midlands, Andy Beer. He undertook to pass them to Dame Helen Ghosh (the NT's CEO) next week. The meeting was polite and very friendly; it was also very informative. b) call upon the Trust not to appoint another shooting tenant, but instead to work with better conservation partners to deliver its own Vision for the High Peak (albeit without the guns). We expressed our deep disappointment that just the previous day, the Trust had publicly invited tenders for a new shooting tenant. Here's their advert; and here's our take on it. Andy Beer told us that, because its High Peak Vision document had said it was going to have shooting on its land-holdings in the Peak District, it would have shooting on its land (provided it didn't hinder its laudable conservation goals or public access). 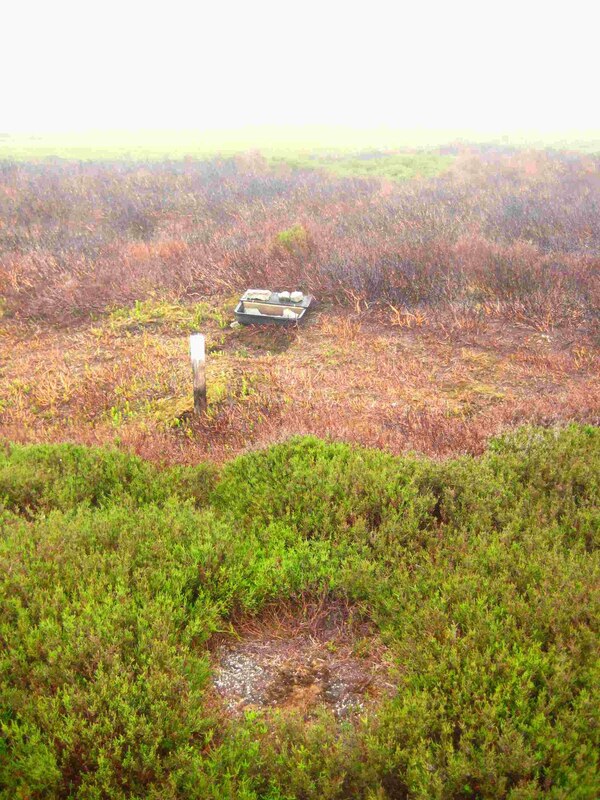 We said the evidence has now clearly demonstrated that moorland management for the hobby of grouse shooting has degraded habitats, damaged landscapes and ecosystem services and been the driver for wildlife crime against raptors (which are barely present any longer across the Dark Peak) and also requires the destruction of all apex predators on the moors. We said that for a conservation body like the Trust this is an out-dated attitude and that, faced with the photo evidence suggesting illegal activity of gunmen on their land, the risk of any new shooting tenant employing the same local individuals was unacceptably high). Mr Beer assured us that the bar for anyone submitting a tender to shoot on these two iconic moorland estates was set sufficiently high so that only applicants who could demonstrably deliver good conservation outcomes would be eligible. If they didn't, they wouldn't be appointed, he said. Firstly, that the Trust indeed will be going through a fair and strict assessment process, only appointing someone who wants to make money out of closing the moors and shooting grouse on the charity's land if it genuinely does believe it will result in the restoration of these badly degraded habitats. (Interestingly, he did indicate the Trust would be willing to consider applicants from those who did not intend to shoot grouse for a hobby, but did suggest maybe a farming tenancy might be more appropriate for some of them). The second way is that the National Trust remains firmly entrenched and hide-bound by its statements about shooting on its land, and that absolutely nothing will change. Or, if it does, that there will still be moorland closures and access restrictions whilst some form of 'walked-up' shooting on these moors is carried out instead, and that there would be no significant change in the moorland shooting issues and wildlife persecution for many more years to come. Either way, Mr Beer made it abundantly clear that the Trust really didn't need the tiny income it might actually receive from letting out shooting rights to a new tenant on the Hope Woodlands and Park Hall estates. So presumably, businessmen with guns and hired hands are assumed capable of doing a better job of moorland restoration than the National Trust and the other major conservation partners that it could potentially work with? We think not. Interestingly, Bob and Nick each came away with somewhat different conclusions over the Trust's reasoning. Either way, we are grateful to the National Trust for agreeing to met with us and for listening to our views (and for quickly rescheduling last week's cancelled meeting in North Derbyshire). for the BBC's Inside Out programme to be broadcast later this year.. It's clear that the Trust has not handled this matter well, and that many people will not join the National Trust until it bans shooting on all of its land-holdings, and that some existing members will resign, and are doing so even now because of this local issue. Banning all shooting was not Moorland Vision's intention: ours has been just to remove grouse shooting and associated intensive moorland mismanagement and wildlife crime from the Dark Peak moors owned by the National Trust. We want instead to see the creation of an imaginative 8,000 hectare rewilding project in the English uplands, delivering the Trust's High Peak Vision, where all species of moorland plant, invertebrate, reptile and bird can thrive, and where anyone seen with a gun or a snare is clearly not acting in the best interest of conservation. 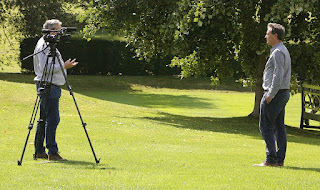 The handover of our petition was filmed by BBC journalist, Simon Hare, as part of an 'Inside Out' piece on these moorland issues which are affecting the reputation of both the National Trust and the Peak District National Park. It is expected to be broadcast in the region later this year. Note: Although all our petition signatures have now been handed in, because of the continued interest in this issue, we are keeping the online petition open. Your are still welcome to sign it and we may well send an update in time for the National Trust's AGM in October. Find it here. And here's our take on the Trust's tenancy advert . . . just in case you have the necessary skills and think it worth applying. We are deeply disappointed to learn today that the National Trust has advertised for tenders to run grouse shooting on the Hope Woodlands and Park Hall estates in the Derbyshire Peak District. The news was broken on Mark Avery's highly-respected blog shortly after we announced that our petition of nearly 6,000 signatures was being rescheduled and is to be handed over to the National Trust at Kedleston Hall near Derby tomorrow, August 1st at 11:45am. Mark published a summary of the tender, though the full details and maps can be found here. Mark suggested three possible scenarios that the Trust is working to. Read his post and you decide for yourself. Meanwhile, we feel that the wrong advert was published on Mark's blog. Here's a possibly better version. 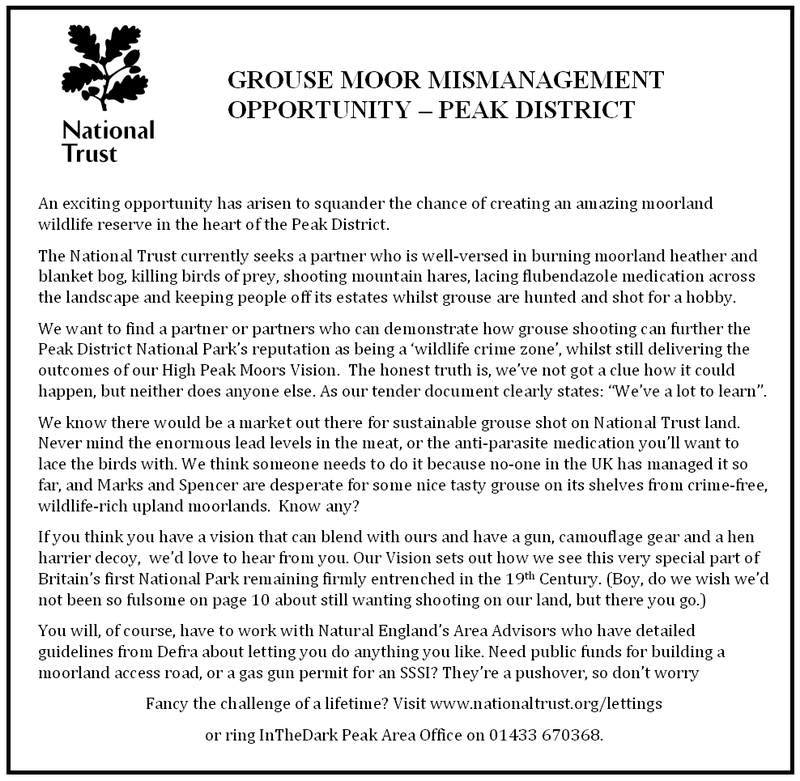 (STOP PRESS: Shortly after posting this, we learned that the National Trust are indeed now advertising for another shooting tenant: See here or read Mark Avery's blog here). Is the National Trust still bogged down over shooting? On Tuesday morning (1st August) we finally hand over our petition to Andy Beer, the National Trust's Director for the Midlands. In turn, we expect him to pass it to his CEO, Dame Helen Ghosh. Our scheduled meeting last week had to be cancelled at the last minute, though by then news had already been circulated. We have emphasised all along that ours has been a local petition, organised by local people around Derbyshire. So it's the 1,308 handwritten signatures collected here that we think really shows the strength of local feeling (of which 38% were NT members, too!). Of course, the 4,500 online ones from Derbyshire and the rest of the UK are most welcome, too! Thank you to everyone who signed. 'no moor shooting' on the Hope Woodlands and Park Hall estates. Despite the brave and very welcome new words emanating from the National Trust in recent years over restoring healthy landscapes for everyone and delivering biodiversity and ecosystem services, we fear the Trust is still bogged down in its antiquated mantra of "where there's been shooting, there will always be shooting (unless it conflicts with the aims of conservation and open access)". The evidence is clearly out there: it does conflict! Where are the adders, the peregrines, the hen harriers and the clubmosses? The Peak National Park Authority banned shooting on its own land-holdings decades ago, but the NT still seems mired in the past in this particular respect. We (almost) wholeheartedly support the Trust's High Peak Vision (read it here). But their rush to embrace management for grouse shooting on these moors, plus their failure to recognise the depth of feeling and damage to biodiversity that this causes is of grave concern. We don't think that their vision can be fully delivered across all these iconic moorlands if it takes on more shooting tenants and allows them to manage parts of these sensitive estates for the entertainment and profit of a minority. In a conversation with Mr Beer last week, it still seems, for whatever reason, that the Trust would prefer some form of grouse shooting - and is considering 'walked-up' grouse shooting as a desirable option - rather than manning up and managing the land properly, either on its own or in partnership with other conservation NGOs. We hope this position may soon shift. Even if the National Trust does make the sensible decision this summer to work with conservation partners, instead of letting the shooting lobby managing the NT's land-holdings in the Peak District, it won't mean that raptor persecution will suddenly cease, or that adders will return once moor. Nor indeed that sensitive moorland plants reappear immediately, but the ecosystem will gradually recover, and the landscape will improve here. So, if Andy Beer and Jon Stewart from the Peak District Team implement the right decision now, this could well be the start of a great wilderness restoration project, across which no gunman would legally roam, and where burning blanket bog and the placing of medicine-laced grit trays every few hundred yards so as to raise a shootable surplus of grouse, are a thing of the past. 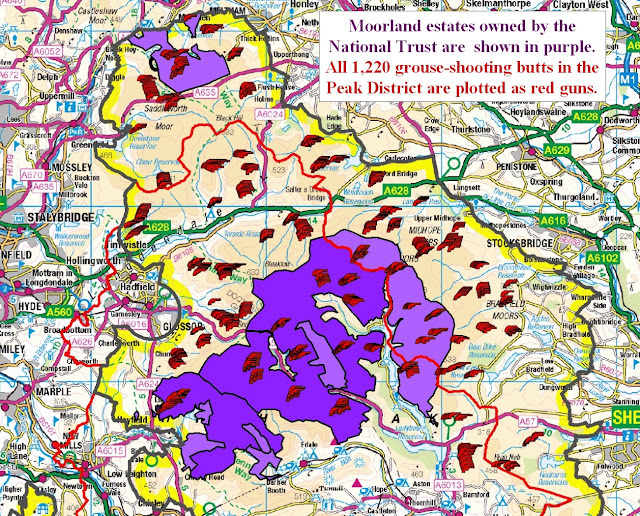 The map above shows all 1,220 grouse butts in the Peak District, with moorland owned by National Trust coloured purple. Think what could be achieved if those guns on NT land fell silent and if all the conservation agencies worked in partnership here to encourage these protected moors to return to a wilder state once again! UPDATE: National Trust cancels petition handover, three hours before meeting. Now being re-scheduled for: 1st Aug 2017 at Kedleston Hall. So there's still time to sign! 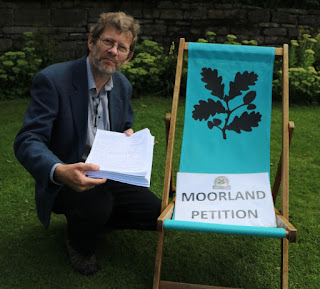 This week, Moorland Vision will be handing over almost 5,000 petition signatures to the National Trust. Two representatives of the campaign and of its 15 supporter organisations will meet with the Trust's Director for the Midlands, Andy Beer, at their Hardwick Hall offices in Derbyshire on Tuesday 25th July. 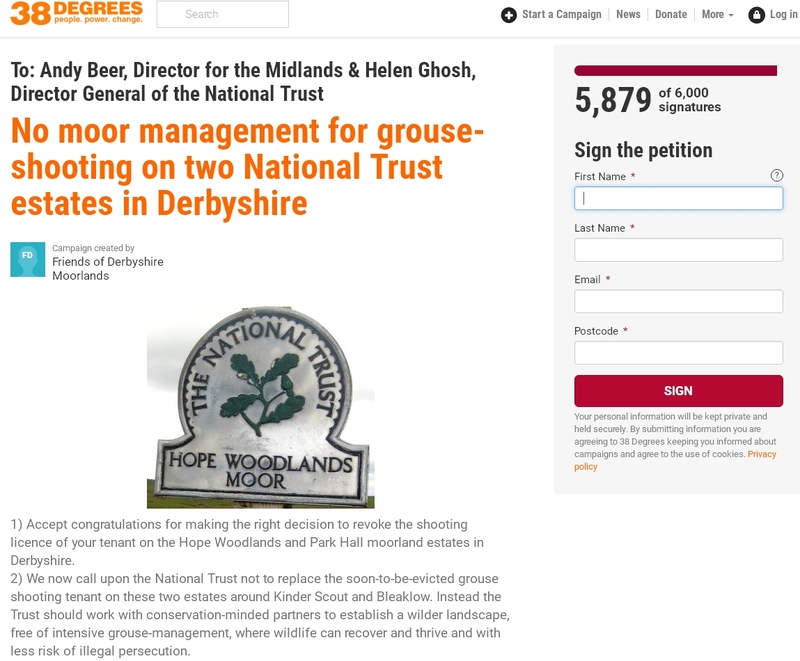 While our petition praises the Trust for its decision last year to evict its grouse shooting tenant from the 8,000 hectares of Peak District moorland around Kinder Scout and Bleaklow, it also calls on them not to appoint another shooting tenant. Instead, we ask the Trust to work alongside other conservation partners (if necessary) to better manage and rewild these iconic moorland landscapes for the benefit of biodiversity and the landscape. 1,300 signatures were gathered on paper by attending local meetings around the Peak District, by petitioning directly in Edale village itself and, of course, meeting and talking with visitors. estate near the Snake Pass, Derbyshire. In addition, a further 3,433 signatures were obtained via an online petition – again, all by local promotion rather than tapping into national campaigning opportunities. This has always been a local initiative launched by a National Trust member and promoted by local people. So, who makes the decision? Mr Beer tells us he is the person who will decide whether or not to appoint another tenant to shoot grouse on the Hope Woodlands and Park Hall estates. We hope his decision will reflect the increasingly enlightened view of land management now emerging from the National Trust. It is becoming clear that running a grouse shooting business is not only a driver for wildlife crime, but also for long-term damage to the flora, fauna and character of the landscape, and that many local people and outdoor groups are deeply concerned about this. 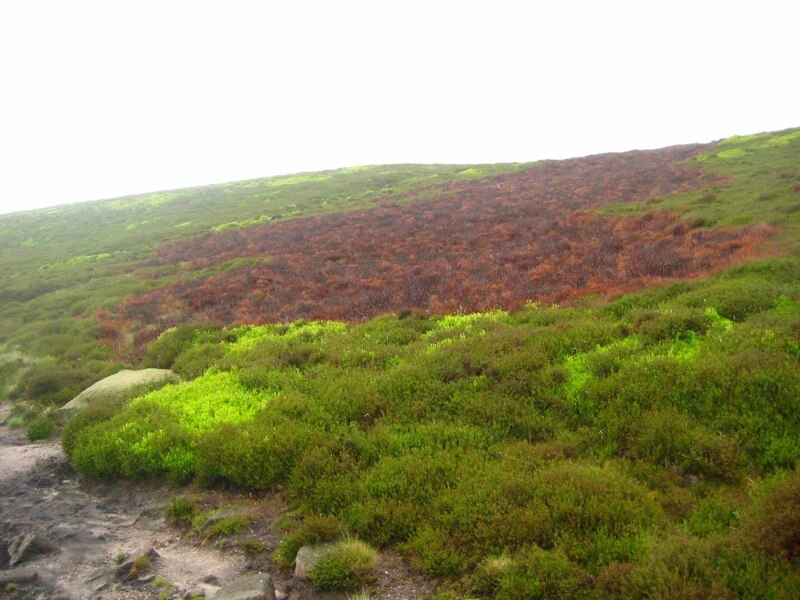 We hope Mr Beer sees the value in working with other conservation partners if necessary to enhance these iconic landscapes around Kinder Scout and Bleaklow (just as they have shown they can do elsewhere in Derbyshire) and not simply hand their management over to another shooting tenant and untrustworthy local gamekeepers. It would be a shame if some half-way decision - perhaps to allow 'walked-up' grouse shooting - were to be implemented, rather than seizing the bigger opportunity now facing us. 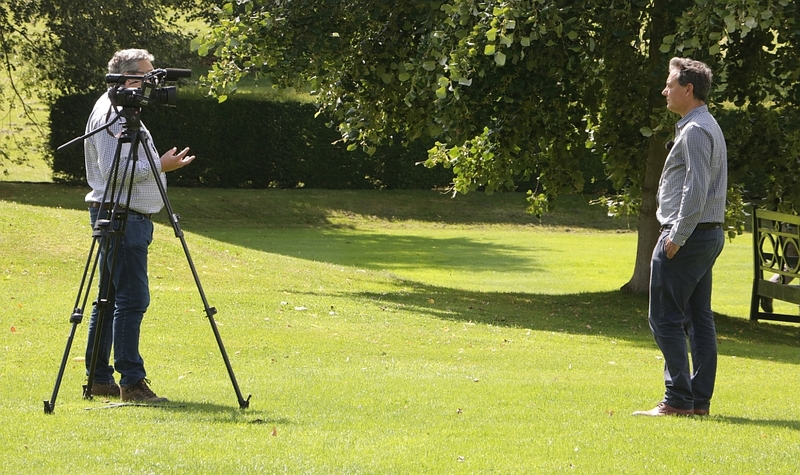 There are 222 shooting butts on these two National Trust estates. They're surrounded by vast, privately owned tracts of moorland on which shooting and moorland over-management will undoubtedly continue for some years to come. With 1,220 shooting butts in total across the Peak District there will still be plenty of opportunities for those who really does want to pursue this hobby of shooting at grouse at the expense of the rest of us and the environment. And in one fell swoop the NT could create a huge wildlife refuge, here in the heart of the Peak District where habitat restoration and re-wilding is the driver for change, and where anyone seen with a gun is likely not be out to help wildlife. This would be brave and innovative, and worthy of this conservation organisation. This petition is not trying to ban shooting, nor is it just about our missing hen harriers. It's about restoring the balance in favour of biodiversity and removing the drivers for wildlife crimes on National Trust land. Its about the missing mosses and vascular plants, it's about the burned out invertebrates and reptiles, the depauperate habitats where management for shooting takes the lead, and about the apex raptors that should all be present, but which are not. It's about supporting the Trust in protecting and restoring the appearance of the landscape, and gaining better ecosystem services once more. Removing heather burning, flubendazole-laced medicated grit, the halting of damaging tracks laid on sensitive peatlands to access shooting areas and the halting of raptor persecution will all help to get that balance back and deliver the National Trust’s own vision for the High Peak. It doesn't need artificial levels of grouse and over-management to do it. Thinking it allowing it to continue here would be a flawed decision. We hope that all the voices expressed by local people will encourage the National Trust to do the right thing for the environment and work with other conservation groups if necessary to deliver the best outcomes for biodiversity and the landscape. This page supports both a printed and ONLINE VERSION of our petition to the National Trust. We are a coalition of 15 local outdoor and environmental groups who have joined together as friends of the Derbyshire moorlands to support and persuade the National Trust to 'do the right thing' in managing its moorland estates on the 'Dark Peak' Site of Special Scientific Interest (SSSI). 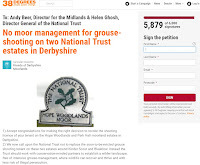 PRAISE AND SUPPORT THE NATIONAL TRUST for deciding to revoke the grouse-shooting lease of its tenant in the Derbyshire moorlands at Hope Woodlands and Park Hall Estates (covering Kinder Scout, Bleaklow, Black Ashop Moor, Birchinlee Pasture etc), and . . . This is not a call for a ban on shooting, or anything so extreme. Petition forms are being circulated to a wide range of outdoor and environmental groups around Derbyshire and the Peak District.Please download and print your own copy of the petition, and pass this around friends, neighbours or work colleagues. Completed petitions can then be returned by 31st Dec 2016 to local group coordinators, or to the address given on the download page. Location of the National Trust's 8,000 hectare Hope Woodlands and Park Hall estates (both shown as darker purple), plus all other NT-owned moorland in the Peak District. There are grouse-shooting butts almost everywhere! Barrow Stones in the NT's Hope Woodlands Estate. 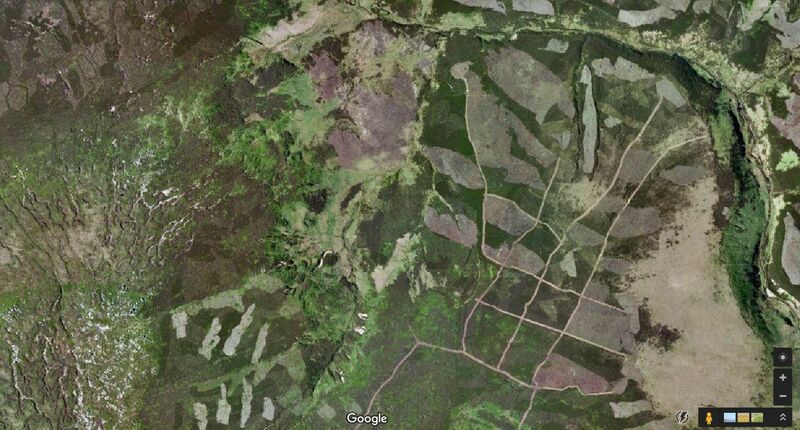 The National Trust own this 6,200ha moorland. But most has been leased out and has been intensively managed by grouse shooters. Whilst moorland restoration and gully-blocking is caried out on the western half of the Kinder plateau, on the eastern side we see extensive burning and a depauperate landscape. 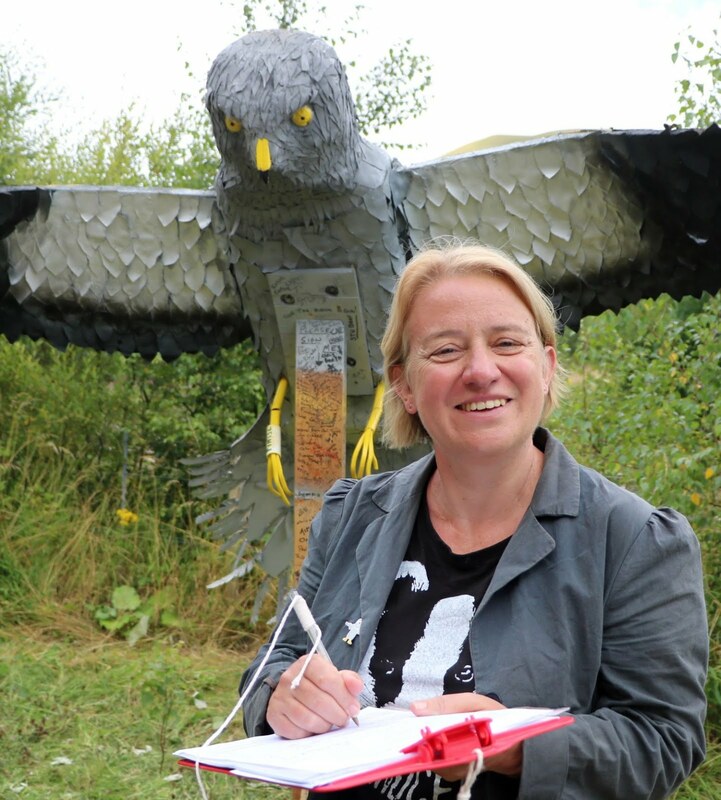 Natalie Bennett (Green Party) at Hen Harrier Day in Derbyshire. A total of 234 signatures were gathered.